’Tis the Season of the Memoir, perhaps even the Decade of the Memoir. 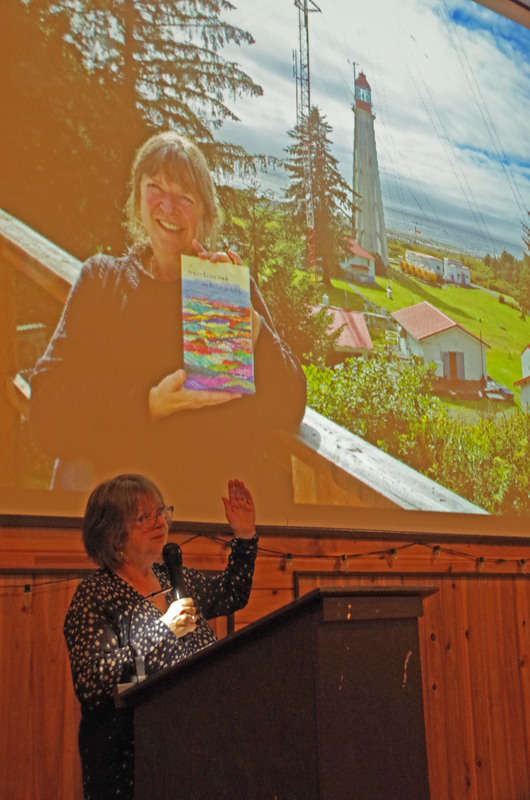 As if touching the collective nerve that twangs to a sense of empire in decline, West Kootenay writers are looking back over lives fully lived with a reflective eye. This is where the celebrity autobiography and the true memoir part at the crossroads, each into differing genres that in many ways barely resemble each other. Here is where the advantage of decades under the belt comes in: time well used to look back reflectively, and hopefully learn. Thankfully we have writers in our midst who have taken the thoughtful pause to distil into words key moments of their lives. The more cynical might dub it a kind of melancholy nostalgia, the province of the spoiled in more affluent nations. But being human, our nature has always held a soft spot for bygone eras. It’s the one thing that does differentiate us from animals—awareness of our point in time, our ability to conceive not just present but past and future. It’s telling that one of the more tragic diseases that afflicts humans gradually erases memory. What’s left of a person when their memories are gone? It pains the heart to ask. Our memories anchor us in time for the all too brief span we’re allotted. They anchor us to other people, people we love, people we fear, people we barely remember. Far more than just visual playback, they resound like a guitar string with an echo that can take generations to die. Even people we’ve forgotten are paradoxically part of our memory—a latent impression that could be triggered into clarity at any time by some unexpected stimulus. For memoirists, a single book can be the product of a lifetime of pondering. At very least, whether straight nonfiction or laced with creative nonfiction, they are the product of many years’ work. Eloise Charet’s Never Without Our Children was 5 years, but that was the result of a decades-long pondering over the project. Not to mention all the duties of mothering and grandmothering that kept her busy. Jennifer Craig’s Yes Sister, No Sister recalls events that occurred when she was still a young woman during World War II. Diana Morita Cole’s Sideways is a five-year labour of love, with events also stretching back to the Second World War. The eyes on the other side of the fence. Amanda Bath’s Disaster in Paradise took up less space in a lifespan yet forced the author to examine deep parts of herself she’d never dreamed were there. And it was one part of a community consciousness trying to heal itself from a natural disaster that changed their lives forever. Caroline Woodward’s memoir, Light Years, takes a more straightforward approach to personal narrative, offering us a glimpse into what for most moderns is an exotic way of life, working on a lighthouse. My own book was 7 years although there are only threads of memoir to it. A wistful melancholy for the days of children as indentured labourers Children’s Ghosts is not. 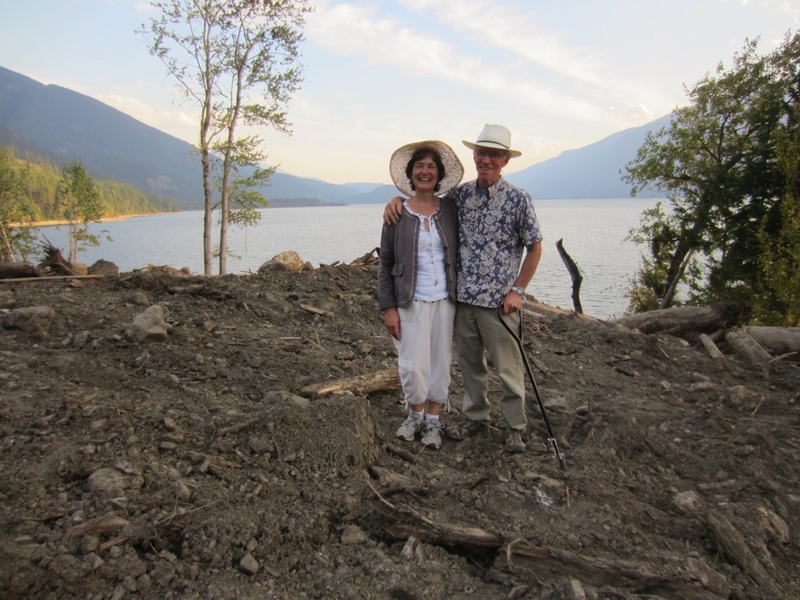 Amanda Bath, author of Disaster in Paradise, and husband Christopher Klassen on the site of their destroyed home in Johnson’s Landing. Photo courtesy of the author. Now suddenly the confluences of timing, energy and concentration converge on the present moment, producing a wave of memoirists. A new cornucopia of memory, eloquently expressed. It’s interesting that the majority of them are women. In the past century the pendulum has swung from a genre—if not the entire publishing industry—dominated by men to one largely in the hands of women. What amazes me, encourages me, is their sense of humour, the ease and grace with which they render what surely were world-heaving events. Human resilience is endlessly mysterious. So great in some, so fragile in others. If we understand this, hopefully we’re on the path to compassion. 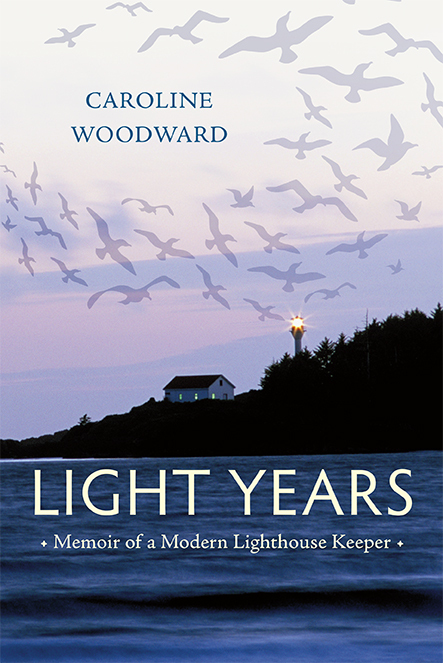 Caroline Woodward’s memoir of life as a modern lighthouse keeper. Courtesy Harbour Publishing. The two quotes I chose to preface this essay because they illustrate the two poles of memory—the conflating and the precise. Oh, and then there’s all those shades of colour in between… As Austen said, there’s no getting away from just how mysterious a faculty memory is. In the technological Matrix people are plugged into these days, it’s nice to know there’s still something scientists or software engineers can’t explain. Mystery—something akin to majesty. And all the time it was all around us—a waft of salt air, a spicy tang of cedar bough, the crispness of lake water in the air in January. Something akin to myth—that great power of dreaming possessed by memory. The magical capacity for story. Novelists may be the rock stars of the writing world but a fine memoirist has a storytelling capacity every bit as great. Pioneering essayist Michel de Montaigne wrote: “He who is not very strong in memory should not meddle with lying.” Or trying to remember names. To quote another wag, Eric Hoffer: “We can remember minutely and precisely only the things which never really happened to us.” (I think I’m hearing an echo in here…) So instead of lying, humans do one of the things they do best: use their creativity to solve a problem. And in the process, occasionally a thing of beauty—terrible or otherwise—is born. A beauty, one hopes, for the ages, whether a Beatles song, a Van Gogh painting, a concert, a poem, or a memoir. This entry was posted in Books, memoir, The Kootenays, Uncategorized and tagged Amanda Bath, books, Caroline Woodward, creativity, Diana Morita Cole, Eloise Charet-Calles, home children, Jennifer Craig, memoirs, Rita Moir, the kootenays, writing. Bookmark the permalink.